One Cape Town startup is using blockchain to remove one of the greatest barriers to financial inclusion: fees. On the eighth floor of a nondescript building in Cape Town’s central business district, a group of coders is overseeing a quiet revolution in Africa’s mobile money space. They have a simple goal: Increase financial inclusion by removing fees. And they’re doing it with an app called Wala. With the explosion in mobile money following the success of Kenya’s M-Pesa, companies have been signing up new customers around the continent at a fever pitch. In Nairobi, often referred to as Silicon Savannah, smartphone applications come and go at breakneck speed, each promising to expand financial inclusion through user growth and seamless transactions between merchant and buyer. Despite the growth in apps and companies working on financial inclusion, 94% of financial transactions on the African continent are still made in cash. Are high fees to blame? 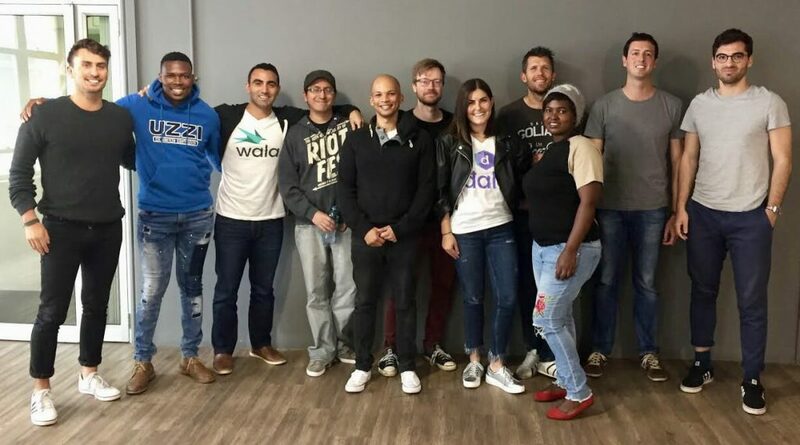 Wala is a Cape Town-based startup with operations in key African markets including Zimbabwe, Uganda, and South Africa. The company was co-founded in 2014 by Tricia Martinez, an American with a background in economics from the University of Chicago. Martinez has the air of a tech coder and entrepreneur. With exposed brick, an open floor plan, and a ping pong table, I thought I had walked into a San Francisco office space when I visited Wala. The only identification was Cape Town’s iconic Table Mountain out the window. Martinez, dressed in the standard tech wardrobe of jeans and a hoodie sweatshirt, was sitting at her desk, which was exactly the same as the rest of her staff. Why were villagers cashing out as soon as they could even though that meant storing large amounts of fiat currency? Taking a closer look, Martinez realised the problem was with the banks and their high fee structures. Villagers reported that banks in Uganda were difficult to work with, had rough customer service reputations, and charged high fees for every transaction. Every four years, the World Bank releases a Global Findex survey that’s the most complete report on demand for global financial services. The latest report, released in April, found impressive growth in demand for financial services worldwide and a slight uptick in new account creation. 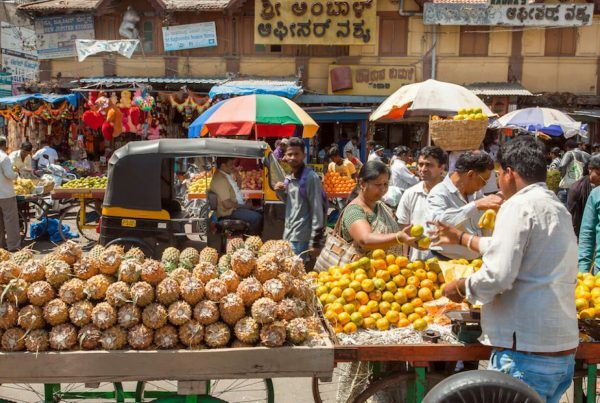 As the Center for Financial Inclusion (CFI) outlined in a recent paper, the Global Findex report highlighted a number of serious challenges in the sector. Aside from the large number of dormant accounts in places like India, CFI found that the cost of maintaining an account was still too high and thus excluded a large number of people across Africa. Wala recognized this problem from its experience on the ground. Its business model is designed to find a way around the current fee structure, and it has stumbled upon an unlikely way to do it. The challenge is not solely unbanked populations across Africa but underbanked Africans that are not using existing banks accounts due to high fees and inefficient banks. Wala’s solution was to use blockchain technology to create a new money model that would have zero fees and be easy to use. 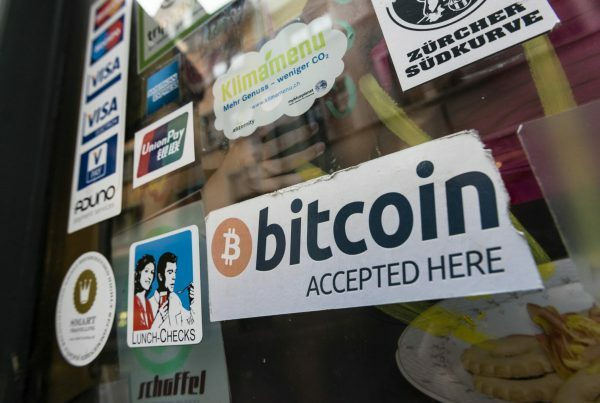 According to Wired’s Gideon Lewis-Kraus, the standard definition of blockchain describes a “shared, decentralized, cryptographically secure, immutable digital ledger”. 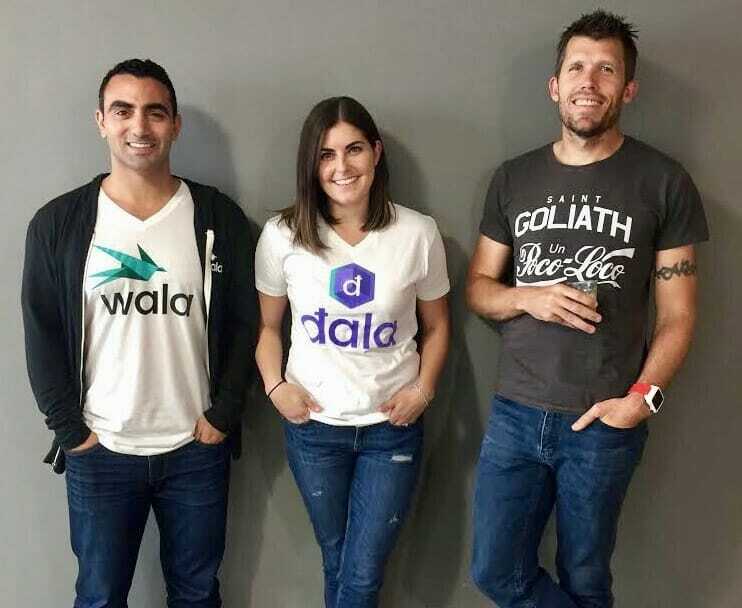 In April, Wala launched Dala, its own cryptocurrency wallet, in South Africa, Zimbabwe, and Uganda. A month and a half later, Dala had over 100,000 active users. Martinez walked me through how Dala works. According to Wala’s website, the Dala network resembles the structure used by cryptocurrency exchanges. “To engage,” the company website outlines, “a user will create an on-chain payment channel with the Dala network and commit a certain amount of tokens to the channel. 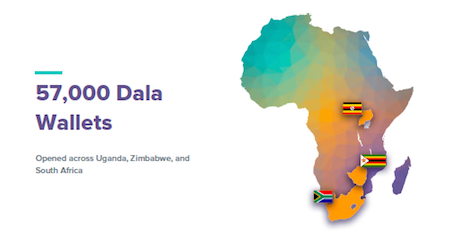 The user is then able to transact with all other members participating in the network.” Essentially, the company is making money from fees collected through operating the network and engaging enterprises in the retail, energy, and infrastructure sectors looking to use Dala. At this stage, user growth appears to outweigh concerns about fee collection. Most consumers in Wala’s markets are spending less than $0.80 on average per transaction, yet some mobile money providers still levy fees. In fact, Martinez argues, the smaller the amount of money, the higher the fee in some cases. This model disincentivizes participation in mobile money. People don’t use the platforms because they’re expensive, not because of access issues. The challenge of cryptocurrencies is building the right ecosystem that people want to use. Anyone can issue a cryptocurrency but unless there is broad uptake, there is no value. With its surprising growth numbers, Wala is one of the first startups in Africa to solve the ecosystem challenge. The question now is how can it expand to new countries. The next step for the company is signing up enterprises that are willing to pay employees in Dala. That will allow Wala to move closer to achieving its vision of creating a digital currency for Africa that enables consumers and enterprises to move value anywhere instantly. Wala simply created their own cyprtocurrency to enable a new fee payment structure, encourage growth on their platform, and expand users’ ability to use mobile money. The surprising part is most users don’t ever know that they are using a cryptocurrency at all. According to Martinez, cryptocurrency and blockchain is confusing, so to avoid that confusion Wala never mentions their use of blockchain. Given the popularity of Wala’s products, the future looks bright for real-life blockchain applications in the financial inclusion sector. According to Martinez, South African regulators are “probably the most progressive in the world right now” when it comes to blockchain because they are stepping back and letting the technology develop. 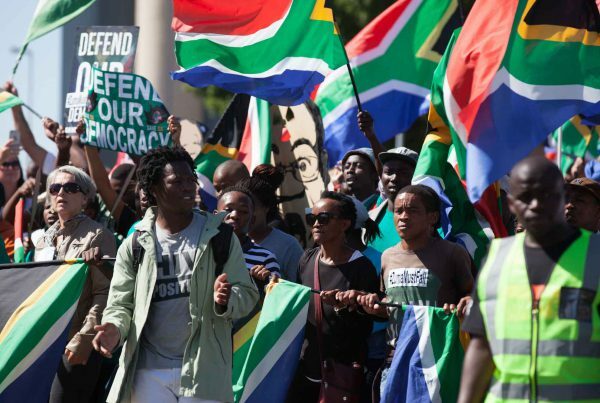 It’s one reason why Cape Town has emerged as a powerhouse of fintech development in Africa.